WHY GO: In the late 1800’s, vacationers came to the beach towns of Rhode Island for fresh sea air and to frolic on clean wide swaths of sand. 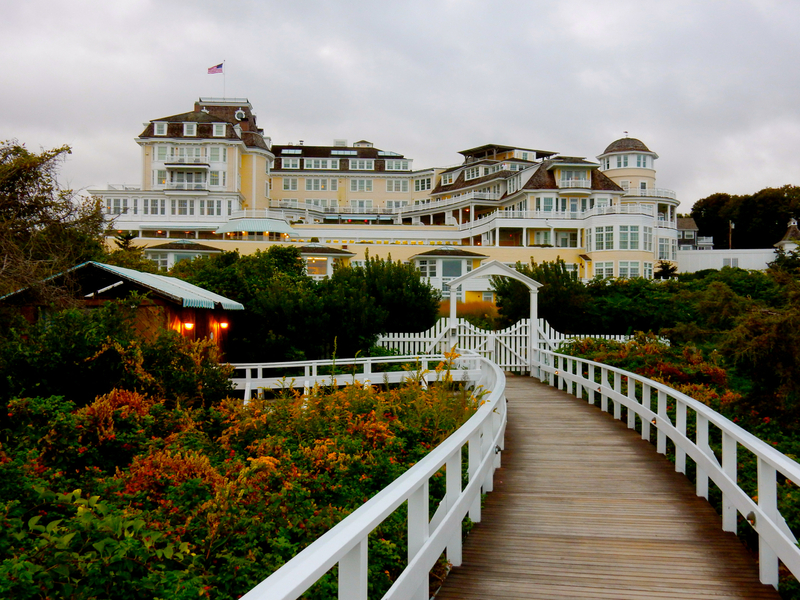 Now, as you climb the hill that overlooks Watch Hill RI harbor on one side and the Atlantic Ocean on the other, you can almost hear the joyous shouts of those Victorian era travelers as they hauled their steamer trunks to the portico of the yellow Ocean House, a splendid resort originally constructed in 1868, and renovated in the late ‘aughts as a stunning Relais and Chateaux hotel. 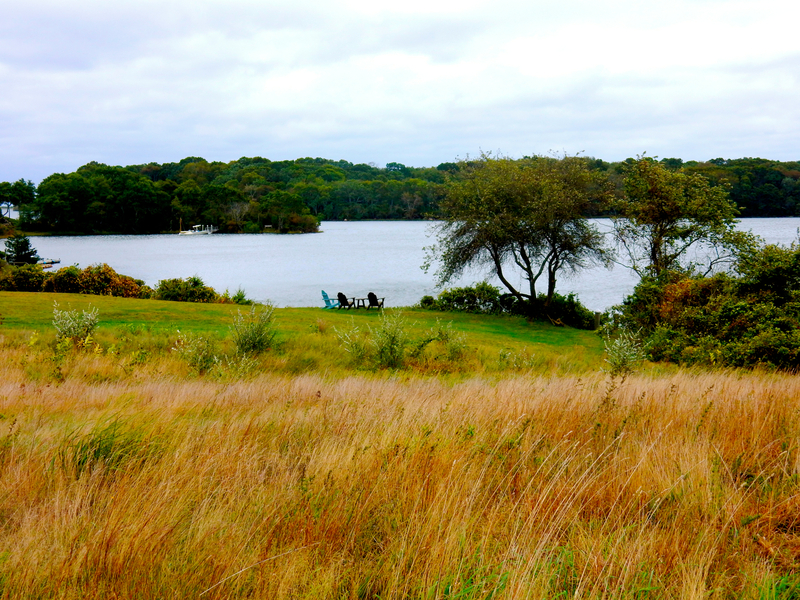 Though among discerning travelers , Watch Hill is best known for The Ocean House (and now for sometimes-resident Taylor Swift, who bought the house down the street), there are other reasons to discover this section of coastal RI – which also includes Westerly and South Kingston – including a restaurant owned by a woman chef who took down Bobby Flay on “Beat Bobby Flay,” and a humble oyster farmer so renowned, he’s been written up in National Geographic Magazine and owns one of the Top Seafood Restaurants in America. Yes, you’ll discover all this and more on the following Atlantic Coast getaway. 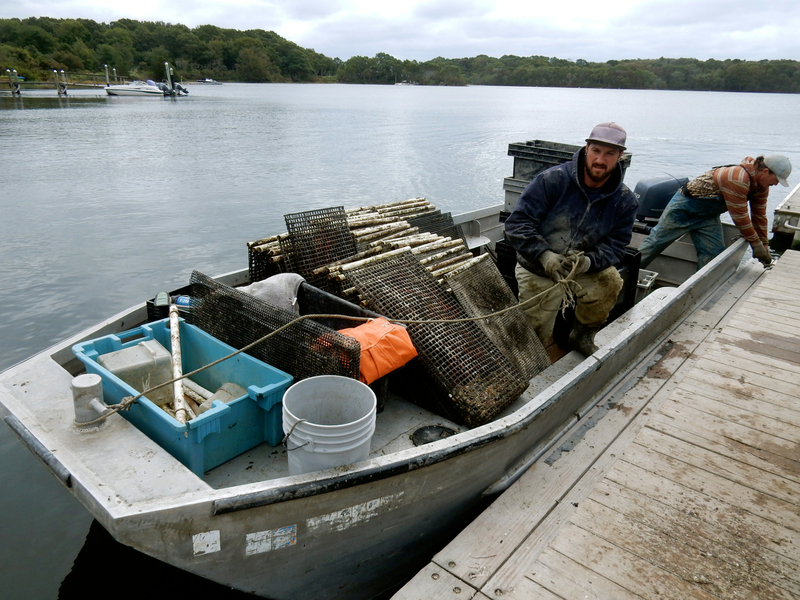 TOUR: Matunuck Oyster Farm, South Kingstown. 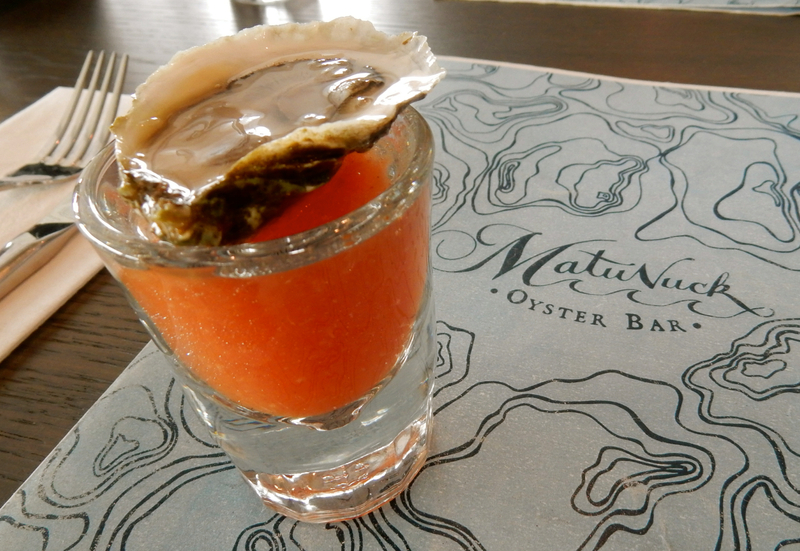 It’s about a 30 minute drive (north) from Westerly, but absolutely worth it for both the Oyster Farm tour and Matunuck Oyster Bar and Restaurant (see Where to Eat below). 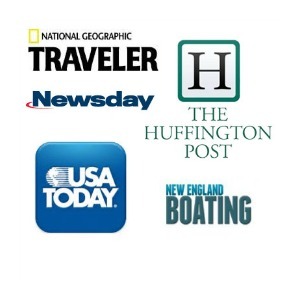 Matunuck Owner, Perry Raso, comes across as a humble fisherman, but has been acclaimed in publications as prestigious as National Geographic. Raso, with a Masters in Aquaculture, begins his 1.5-hour tour with a dissertation on the growth of the industry. Though “terrestrial agriculture” has been “going on for hundreds of years, commercial/industrial aquaculture is relatively new.” (There’s a distinction between oyster packing companies – which have been in existence for over 150 years – and corporations that “farm” or “grow” oysters, a relatively new concept). 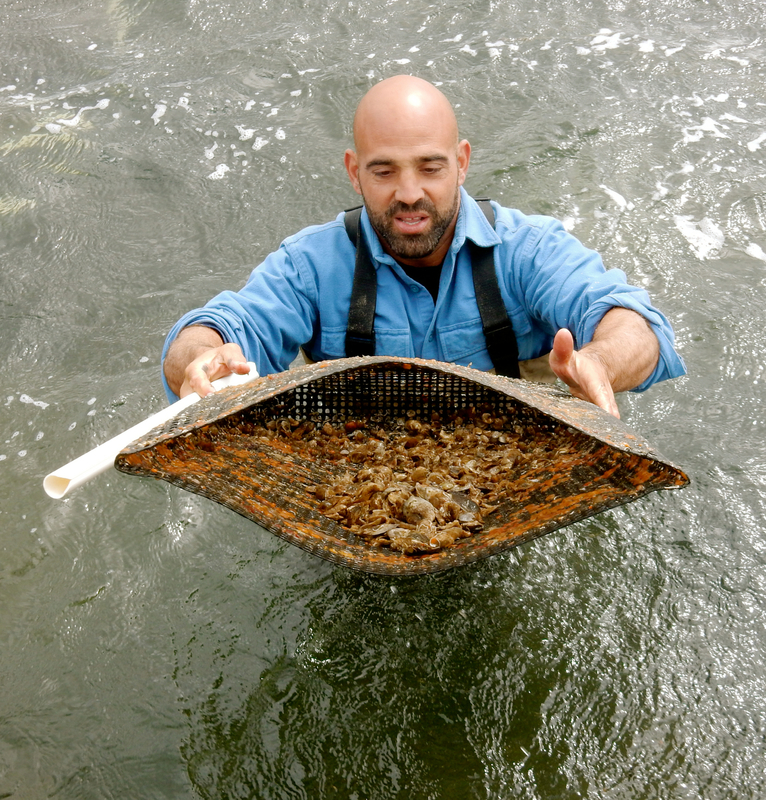 As a “farmer,” Raso generates oyster “seeds” in a hatchery, manipulating the water temperature so that oysters release sperm and eggs into the water year round as opposed to only during the warmest months. When these “seeds” are large enough, they are placed in steel mesh “bags” that either sit on the pond’s mud bottom or float for two to three years, until the oysters are large enough to harvest. Raso has a bit of the scientist and educator about him, and has become a spokesperson for green practices in aqua and agriculture. He is most at home either in the water tending to his shellfish, or on his new organic farm. 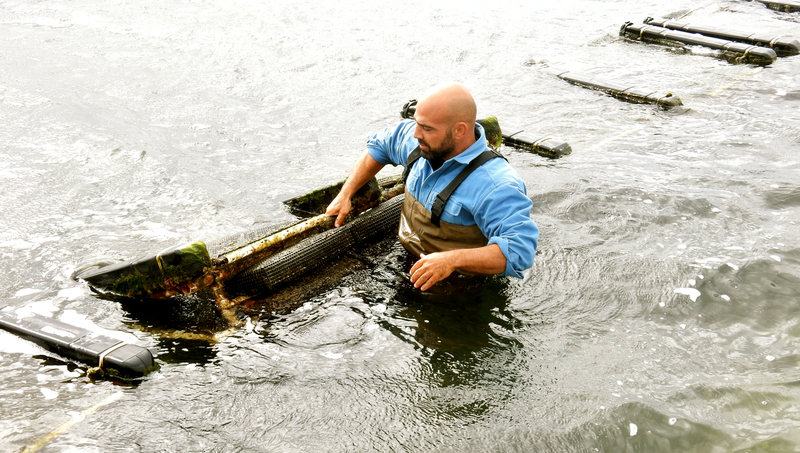 You’ll see both his oyster beds and gardens on a tour that brings you by motorized platform boat around Potter Pond, where Raso and his employees harvest over a million oysters – coveted by top chefs from New York to L.A. – every year. 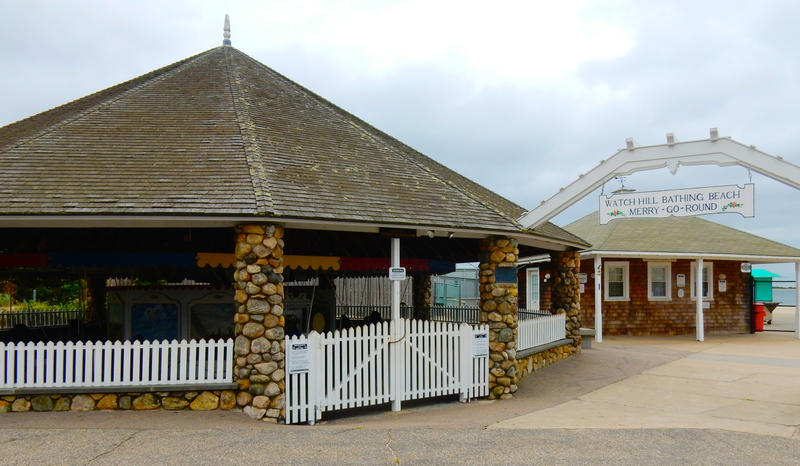 Matunuck Oyster Bar began as a byproduct of Raso’s oyster farming business, but has turned into one of the top restaurants in the USA. It was not his intention to become a restaurateur, but when Raso purchased the property, a dilapidated seafood shack came with it. He started selling oysters from the shack, garnering enough of a following by 2009 that building an upscale restaurant, with a “Pond to Plate” theme, made sense. 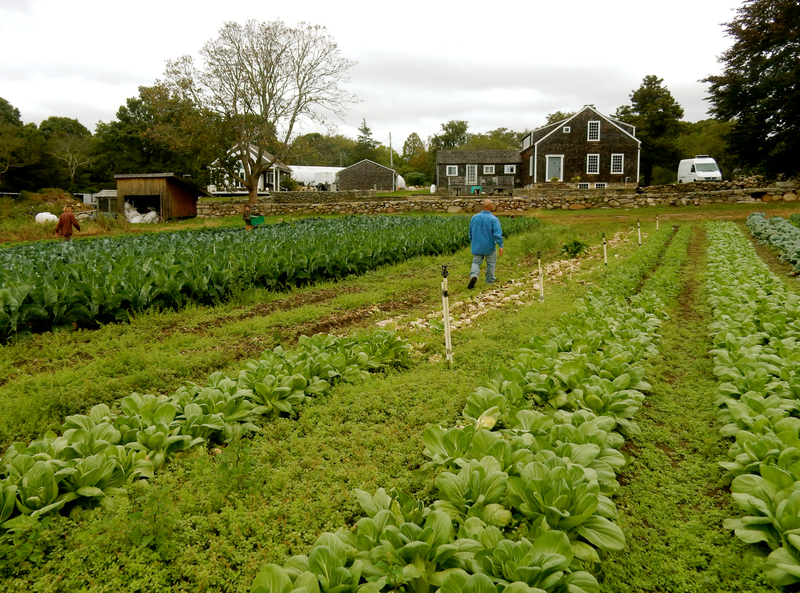 In 2011, realizing the need for hyper-local organic produce, Raso planted a garden on 7 acres of his own property around the corner. Tours are free, call or email 401-783-4202 ext 2, events@RhodyOysters.com. DO: Ride The Flying Horse Carousel, Watch Hill. Since Victorian times, summer visitors have been grabbing for the brass ring on this diminutive, but historic “flying horse” merry go round, built in 1883. On the National Historic Register, it’s the oldest operating carousel in the country with horses suspended from chains. Open daily in season till Labor Day. Weekends only until Columbus Day. Check website for times. GreySail purchased the bright yellow house next door, built by the owners of Westerly Macaroni Co in 1934, leaving its historic murals and light fixtures intact. 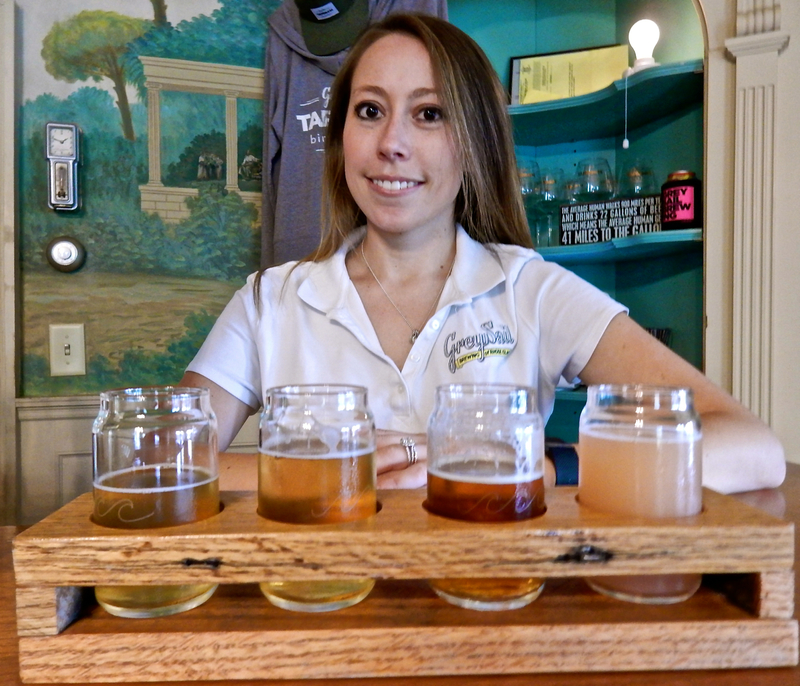 Despite its fancy digs, the Tap Room is a “proper pub,” with 8 craft beers on tap (four GreySail brews, four “guest” brews), and offers flights ($10 for 4 5oz pours) and full 16-oz pours for $5 and $6. 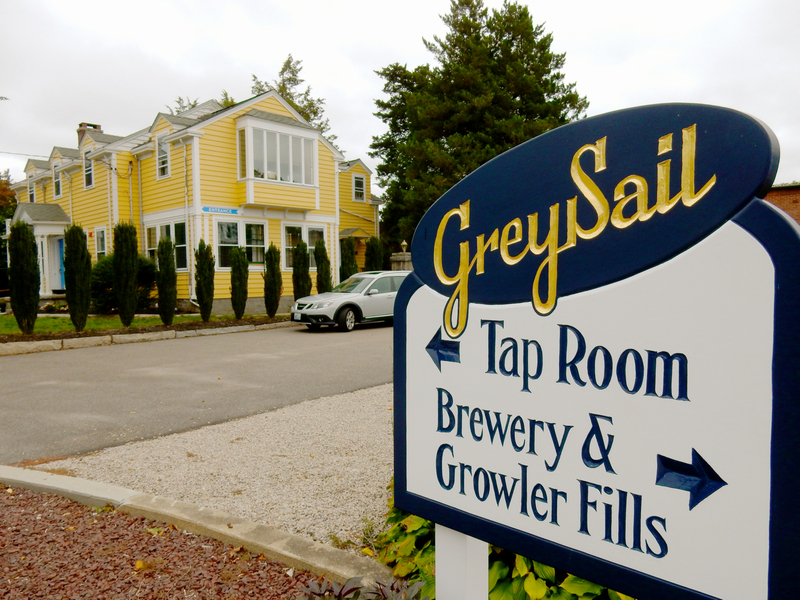 Though Captain’s Daughter Double IPA put Greysail on the map (with distribution in CT, RI, MA), other beers, like Flying Jenny Extra Pale Ale, Great Ketch India Pale Lager and Pour Judgment (made exclusively for Pour Judgment Pub in Newport), are gaining favor. 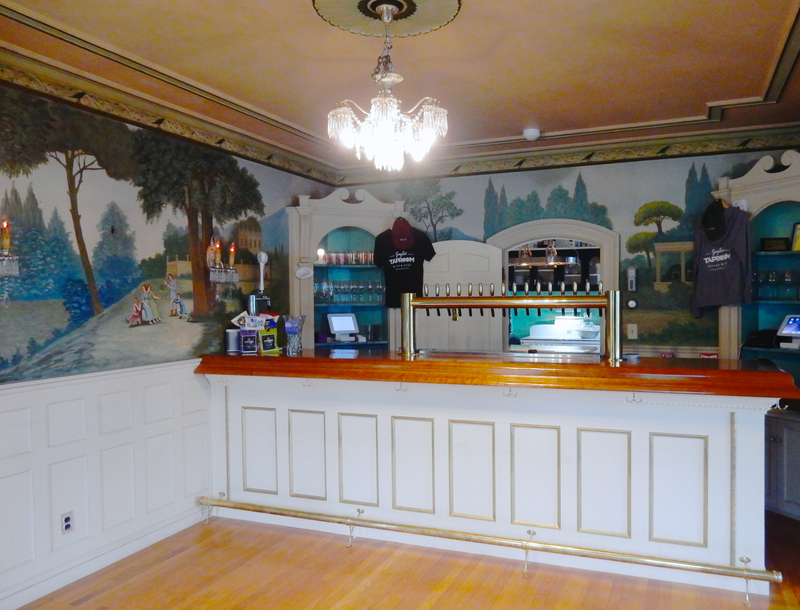 The Tap Room also features a warren of comfortable “living” rooms, a dartboard room, and an outdoor beer garden where guests can play bocce and corn –hole and watch homemade pizzas charring nicely in the brick oven. Stay for pizza and take home some cans of your favorite frosty. Tap Room open Mon, Wed, Thur 3-8 PM. Fri-Sat 12-8 PM. Sunday 12-5 PM. The Beach House – you’ll find beachy home-goods, hostess, baby and wedding gifts for a fraction of what you’d pay in the resort town of Watch Hill. My absolute favorites are the adorable shell-and-sea-creature emblazoned beach totes for a mere $19. 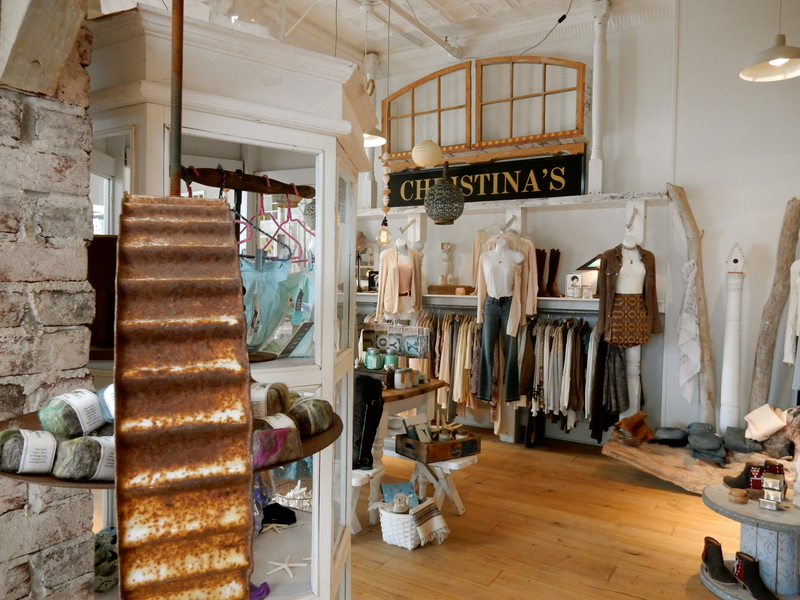 The Eagle’s Nest Gallery – features American-made products and is crammed full of Vera Bradley, Brighton, and Rhode Island’s own John Medeiros jewelry. 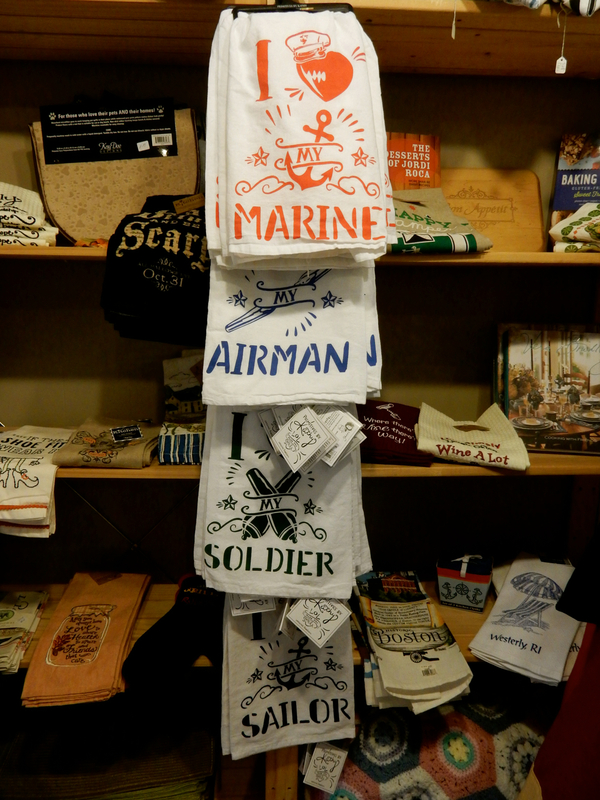 But the best thing about Eagle’s Nest is its generosity towards and acknowledgement of US Military families, with discounts and store items (i.e. $7 tea towels) specifically for them. 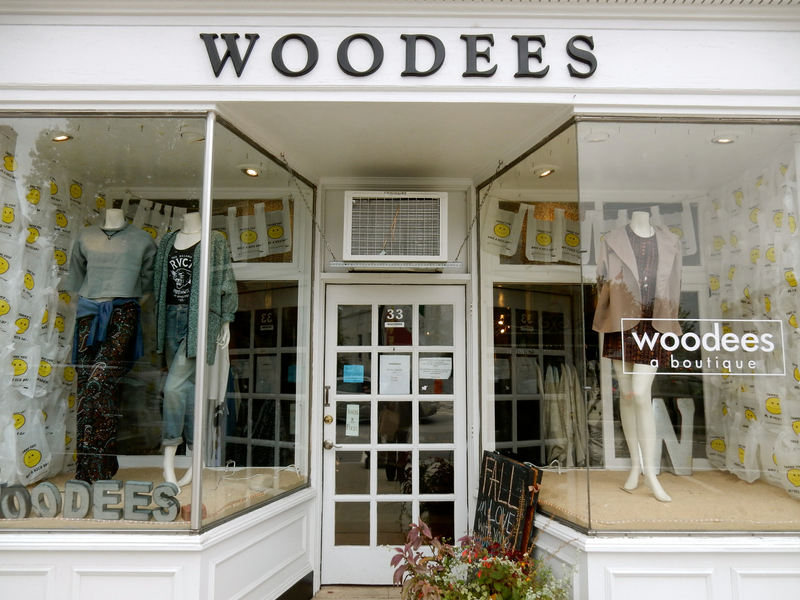 Woodee’s – a woman’s clothing boutique next to the long-standing (since 1904) Woodmansee’s, and owned by the same family. Woodee’s is Woodmansee’s younger, funkier cousin, with prices a bit lower as well. 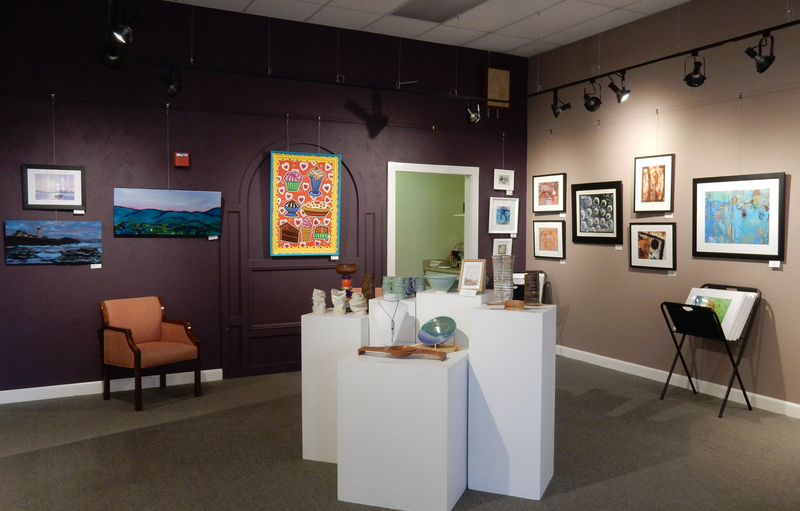 VISIT: The Artists’ Cooperative Gallery of Westerly. A new show every month features two local artists, who seem more professional than amateur. Stop in for very reasonably priced jewelry, ceramics, photography and paintings. EAT: Ella’s Food and Drink, Westerly. It is rare that a town this small is home to a restaurant so outsized in excellence, but Ella’s is testament to chef/owner Jeannie Rolland’s talent and to Westerly’s sophisticated palette. 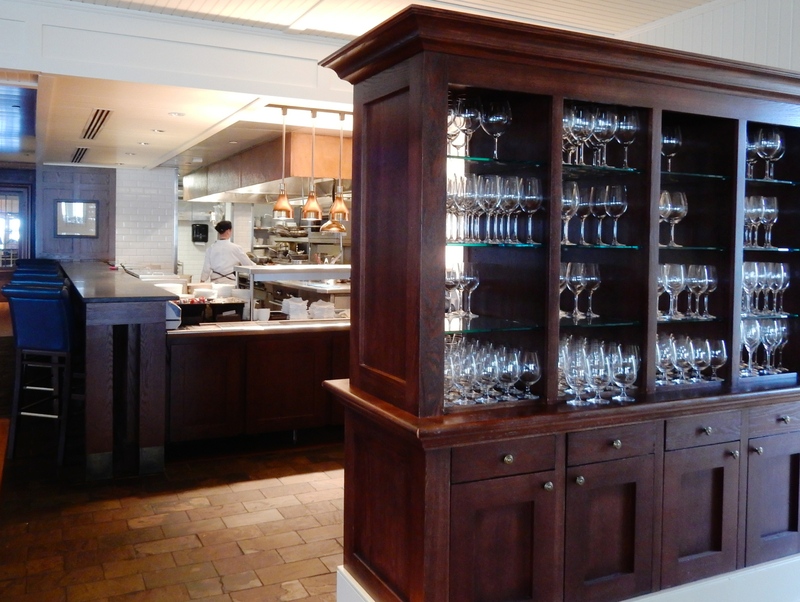 Culinary Institute of America grad Jeannie, and her husband James, have been in the restaurant business for 25 years. In 2000, they opened their first restaurant, The Perfect Caper, in Punta Gorda, Florida, where it’s still going strong. Jeannie has been a James Beard nominee five times and even beat Bobby Flay on The Food Network’s “Beat Bobby Flay,” whipping up her fantastic Mussels Frites. Jeannie, a Connecticut native, was eager to return to New England. She and James found this building on a busy street (formerly a neighborhood Italian joint), and transformed it into a modern home’s dining room – where pale grey walls showcase the vibrant folk-artsy paintings of New York artist, David Black. Each dish here is cooked from scratch, sourced either locally or from organic farms all over the country – with taste combinations you’ll be thinking about for days. Jeannie has a remarkable way of balancing sweet and savory, as she does with her astoundingly fine Apple Celery Soup – a seasonal dish that manages to highlight the essence of autumn without being cloyingly sweet. Signatures include the perfectly-cooked Miso Salmon on a disc of Toasted Coconut Black Rice with Chili Bok Choy ($25) and decadent Momma’s Chicken – buttermilk soaked and duck-fat-fried chicken with yellow corn grits ($26) which James tried to take off the menu to much protest (they ended up keeping it on). 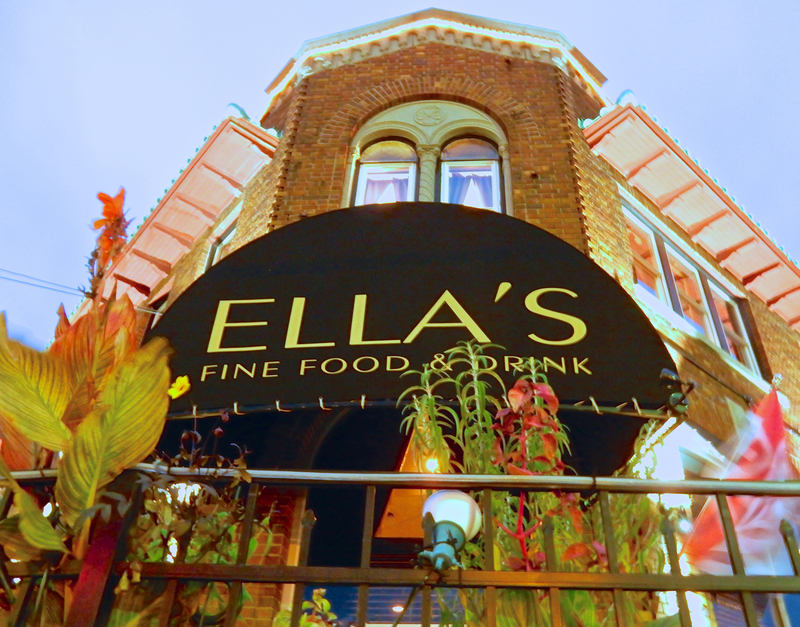 Other comfort-plus dishes, like the Ultimate Grilled Cheese ($13) prove that Ella’s can satisfy all tastes, from down-home to refined. Worth a trip from anywhere. 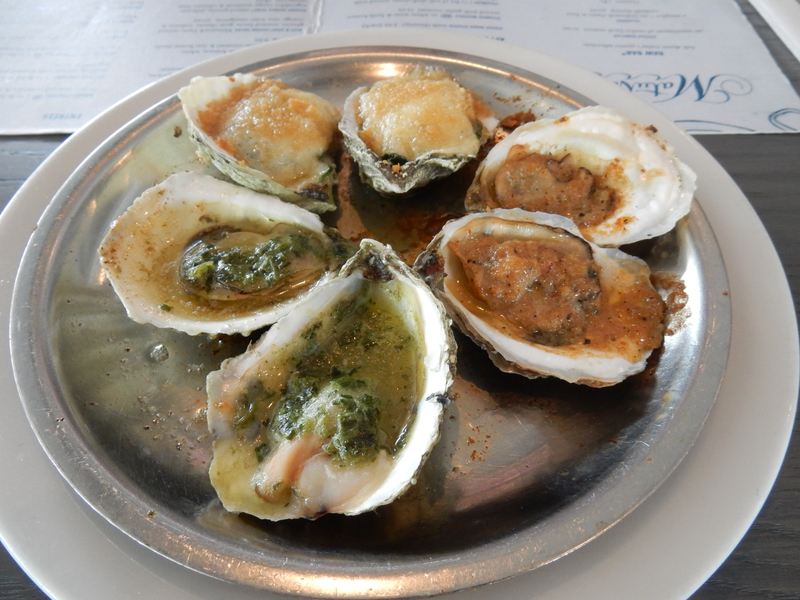 EAT: Matunuck Oyster Bar, South Kingston. You can sign up for an educational tour of the oyster farm (offered a few times a week in summer – check website) or dive right in to the food that put this place on the map. Savor oysters every which way – from raw-just opened ($21.95 per dozen), to paired with a “shooter,” to fried or bathed in every toothsome sauce imaginable. Order a “Stuffie”($3.95 each) – Rhode Island’s version of a stuffed clam – or even Vegetarian Tacos ($10.95) for the shellfish adverse. Whatever you choose, you can be sure it’s fresh, tasty and amazingly good. In the summer, this strip of land is a mob scene with hundreds of people per night jockeying for a table. With websites like Timeout.com ranking Matunuck “One of the Top 21 Seafood Restaurants in the USA,” (in April ’16) these crowds won’t be thinning out anytime soon. 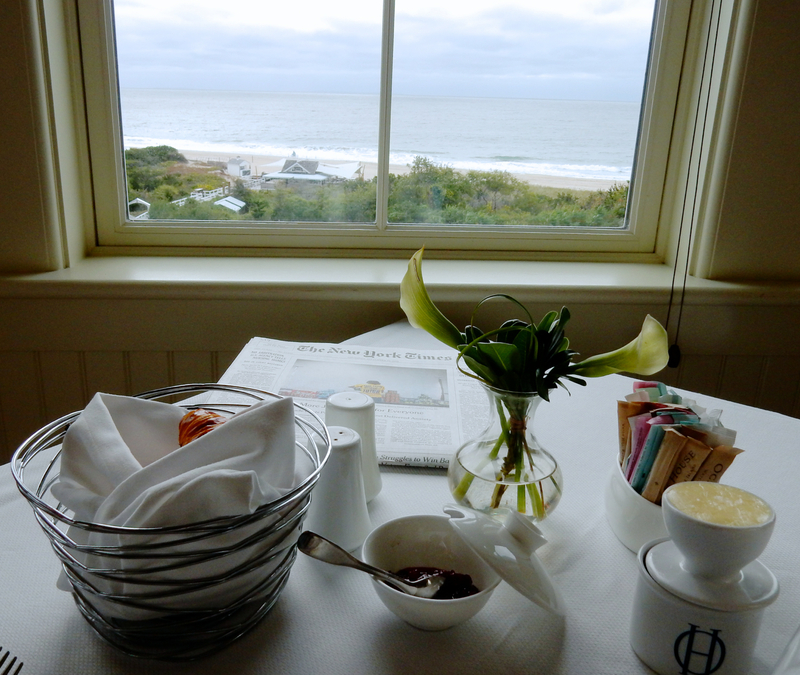 EAT: COAST by Chef Jennifer Backman at the Ocean House. Overlooking all moods of the Atlantic Ocean, COAST by Chef Jennifer Backman is wonderful offseason, especially on blustery days when grey green waves crash on the nearly deserted beach below, and seasonal breakfast dishes incorporate butternut squash, gingerbread, sweet potato, and other delights of the season. The dinner menu is created daily from ingredients freshly picked by the Ocean House Food Forager. Every day, Backman crafts dishes that are creatively conceived, often witty, and ultimately scrumptious. For foodies who’d prefer to observe cooking action over action on the beach, ask for a seat near the demonstration kitchen, a “hot spot” for sure. 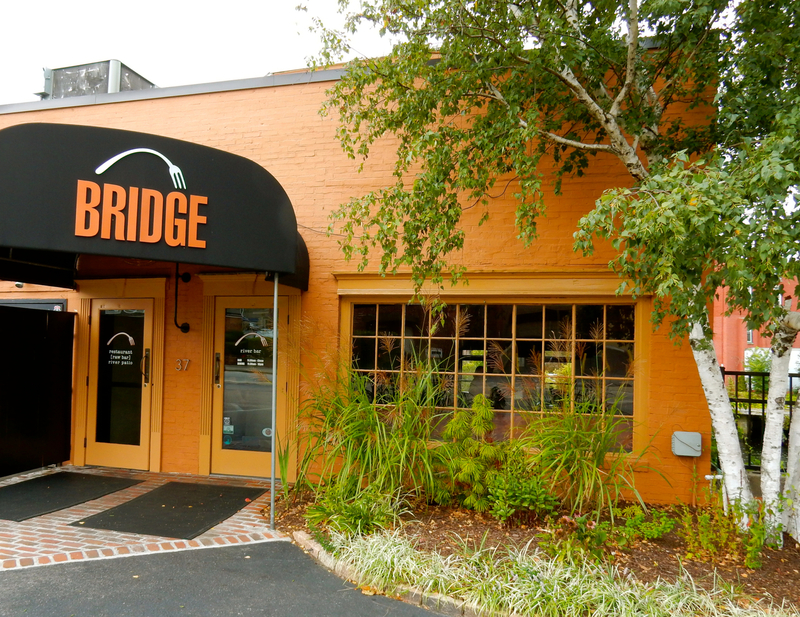 EAT: Bridge Restaurant, Westerly. Stride across the pitted wide-plank floor to your brown paper topped table overlooking the river, and settle in for good seafood and vegetarian dishes. It’s rare to find an eatery where tofu fans can be just as happy as clam-lovers (Littlenecks 6 for $9, Cherrystone 6 for $7). If you live with a vegan, everyone will be happy here. EAT: In Westerly, locals also love The Malted Barley for craft beer on tap, gourmet pretzels and its “incredible Roast Beef sandwich on a Pretzel Roll,” and the more upscale 84 Tavern on Canal. STAY: Ocean House. 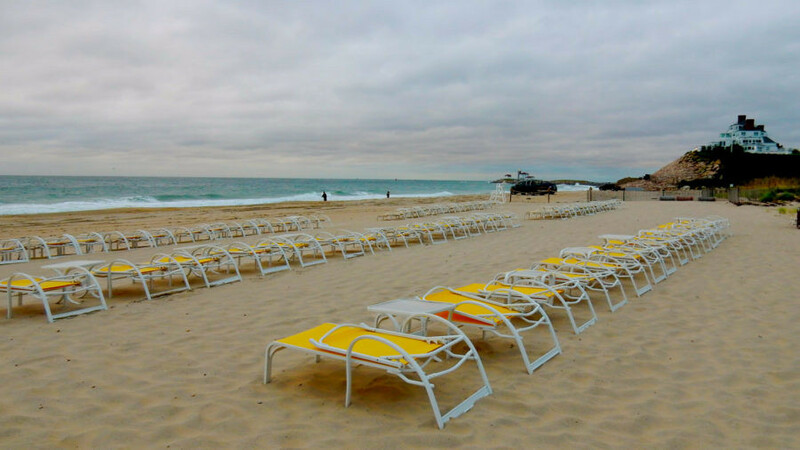 Come here and you’ll enjoy as civilized and tranquil a shore stay you’ll find anywhere in the world, with over the top service well worth the pretty penny you’ll spend. 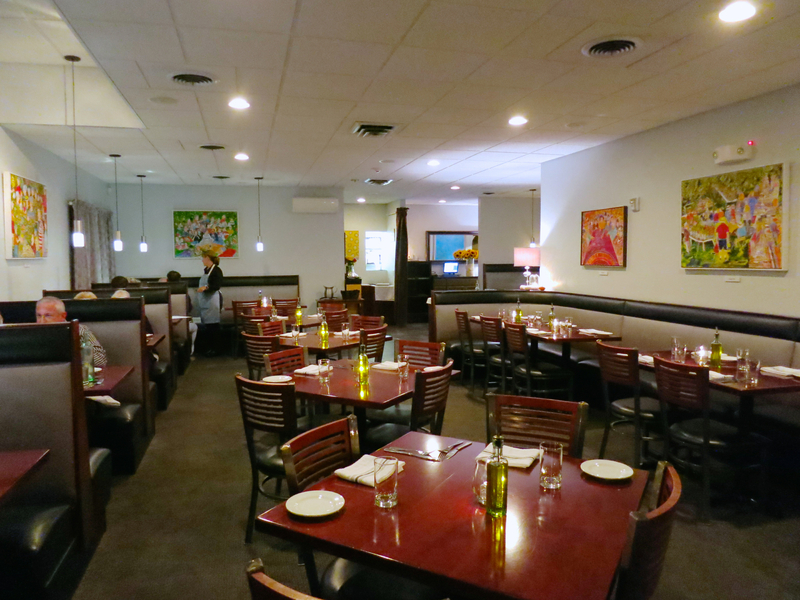 This place is so outrageously fine, its a Maven Favorite of the highest order, warranting its own page and review HERE.